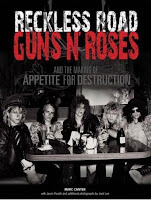 2011 collection containing 29 rare and unreleased tracks hand-picked by Cameron Crowe with his original liner notes and never-before-seen photos in a 36-page booklet. It is packaged in a hard bound book.. In honor of Pearl Jam's 20th anniversary, award-winning director and music journalist Cameron Crowe created a definitive portrait of the seminal band carved from over 1,200 hours of rarely and never-before-seen footage, plus 24 hours of recently shot concert and interview footage. 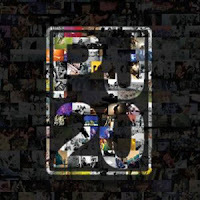 Pearl Jam Twenty chronicles the years leading up to the band's formation, the chaos that ensued soon-after their rise to mega-stardom, their step back from center stage, and the creation of a work culture that would sustain them. 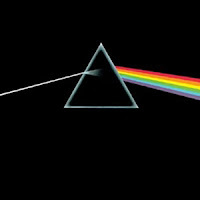 With lyrics about seemingly mundane details set against dreamy, atmospheric backdrops, the songs on The Dark Side of the Moon achieve a truly emotional response. Performances are not virtuosic, but they are brilliant nonetheless and were likewise brilliantly recorded. Abbey Road Studios engineer Alan Parsons and Pink Floyd made use of some of the most advanced techniques available at the time to craft a sound that was innovative yet entirely classic, by any sense of the word. Swirling organs, mellow drums, and spacious guitars are signature sounds that have been inextricably linked with Pink Floyd's magnificent songwriting. The Dark Side of the Moon is a peerless entry in the annals of classic rock history. No record collection should be without this multi-platinum masterpiece. Remastered by James Guthrie, and artwork by Storm Thorgerson. 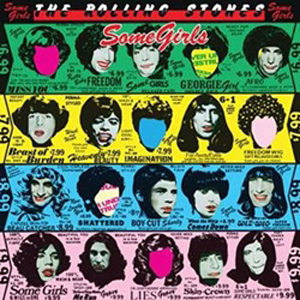 Thirty-three years on from its original release, the re-mastered vinyl edition of Some Girls shows exactly why the 1978 album has often been hailed as the equal of Exile On Main Street. 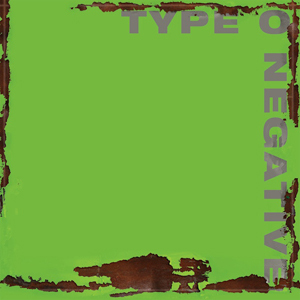 The album stands as both a time capsule and a timeless listen and it features the band at their tightest and toughest, at their most vibrant and vital. Remember to add the code "CVR" at checkout and get 5% off of your order! The GUNS N' ROSES biography "Reckless Road: Guns N' Roses And The Making Of Appetite For Destruction", in which author Marc Canter tells of the making of the band's multimillion-selling debut, "Appetite for Destruction", will be released in the U.K. on December 1 as a Classic Rock bookazine called "Classic Rock Presents Reckless Road: Guns N' Roses And The Making Of Appetite For Destruction". Prince opened his Welcome 2 Canada tour on Friday night at Air Canada Centre in Toronto with a spectacular, hits and covers laden, three-plus hour show that included, depending on the report, six or seven encores. Along with hitting the majority of his career highlights, he covered the Cars, Michael Jackson, the Beatles, Bob Dylan, Wild Cherry, Sylvester and The Time, the latter of which he introed with "I wrote these songs, too!" 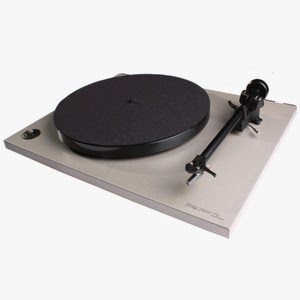 Buy Top Ten Best Sellers at insound! On this day in 1958, "To Know Him Is To Love Him" by the Teddy Bears, was the #1 song. In 1960, "Are You Lonesome Tonight," a ballad that was written in 1926 and first recorded by Al Jolson, became Elvis Presley's 14th number one hit in the US. Billboard magazine reported that five answer records to "Are You Lonesome Tonight?" had been released. Four of them were different versions of the same song entitled "Yes, I'm Lonesome Tonight." The fifth was the standard "Oh How I Miss You Tonight." 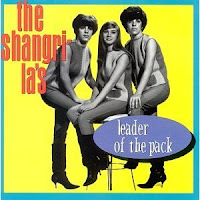 In 1964, the Shangri-Las' teen-trouble classic, "Leader Of The Pack" topped the Billboard Hot 100 singles chart. It made #11 in the UK. Beatles' drummer Ringo Starr said about the song:"Oh no, they're saying the leader of the pack's dead and all that. This record's a load of rubbish. Turn it off." The tune was credited to producer George "Shadow" Morton with Jeff Barry and Ellie Greenwich. According to Morton, he wrote the song for the Goodies (also known as the Bunnies), but instead it was needed as a follow-up to the Shangri-Las hit "Remember (Walking in the Sand)." Morton claimed he credited Barry and Greenwich as co-writers for business reasons; his recollection has been questioned by Ellie Greenwich. 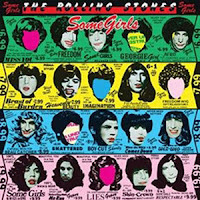 In July 1964, Morton recorded the vocals for the song with the Shangri-Las at the Ultrasonic Sound studio on the second floor of a Manhattan hotel. These vocals were dubbed over the instrumental parts which had been previously recorded at the Ultrasonic Recording Studios in Hempstead, New York. 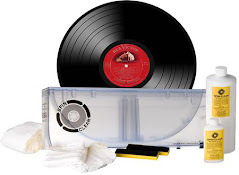 Billy Joel, then a young session musician, claimed on November 16th, 2010 during an interview with Howard Stern that he played piano on one of the demos for "Leader of the Pack" and is not sure if any of his parts made the final recording. In fact, the piano part was played by Roger Rossi, a staff musician for Ultrasonic Recording Studios at the time. Rossi said, "I remember the date like it was yesterday, there were no written charts, so unfortunately, some musicians kept making mistakes. As I recall, it took 63 recording takes before Shadow Morton was satisfied." Rossi added, "By the end of the session, in take 62, I also messed up and Morton laughingly yelled out, Ohhhh, noooo. Not you, too!!" According to legend, to add the authentic sound of a motorcycle engine, one was driven through the lobby of the hotel and up to the floor of the recording studio. No one was arrested, but a ticket was issued. 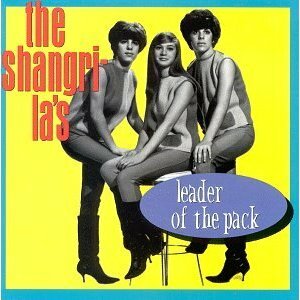 However, in an interview four decades later, Shangri-Las lead singer Mary Weiss said the motorcycle sound was taken from an effects record. The Zombies' drummer Hugh Grundy recalls revving up a motorcycle backstage when the Shangri-Las performed on a U.S. tour. In 1964, three years after he wrote "Crazy" for Patsy Cline, Willie Nelson made his first appearance at the Grand Ole Opry in Nashville when he opened for Roger Miller. In 1966, the Four Tops released the single "Standing In The Shadows Of Love." In 1974, John Lennon made a surprise (to the audience) guest appearance at an Elton John concert at Madison Square Garden in New York, Lennon's last stage appearance. Elton John and his band had been featured on Lennon's recording of "Whatever Gets You Thru The Night." Lennon made this rare stage appearance to keep the promise he made that he would appear on stage with Elton if "Whatever Gets You Thru The Night" became a #1 single. They sang duets of "Lucy In The Sky With Diamonds," "Whatever Gets You Thru The Night" and "I Saw Her Standing There." Backstage after the concert, estranged wife Yoko Ono met and reconciled with John, ending his 18-month separation from her, known as the "Lost Weekend." Yoko revealed in 2010 that it was Paul McCartney who stepped in and, through several meetings with them individually during 1974, brought the couple back together. In 1979, all of Ringo Starr's mementoes from his days with The Beatles are destroyed when his home in Hollywood Hills burns to the ground. In 1987, Bill Medley and Jennifer Warnes combined their talents to take "(I've Had) The Time Of My Life" to the number one position on the Billboard Hot 100. It was his third chart topper and her second. 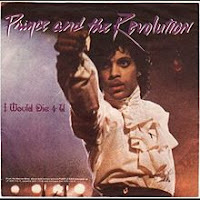 The song would go on to win the 1987 Grammy award for Best Vocal Performance by a Duo and an Oscar for Best Film Song. In 1993, Steppenwolf drummer Jerry Edmonton was killed in a car crash, not far from his Santa Barbara, California home. He was 47. Also in 1993, Whitney Houston's "I Will Always Love You" reached the top of the Billboard Hot 100 where it will stay unchallenged until next March. In 2000, more than nine million people watched a Madonna concert over the Internet. The 29-minute, six-song event was performed at London's Brixton Acedemy in front of about 2,800 people. According to MSN.com the show set a record for such events. In 2004, at the HP Pavilion in San Jose, California, Metallica played the last show of their 137-date Madly in Anger with the World Tour, the fourth-highest grossing tour of 2004 with $60.5 million in ticket sales. In 2005, Tony Meehan, drummer for The Shadows on their UK number one hit, "Apache", died in hospital from head injuries sustained in a fall. He was 62. "Apache" spent twenty-one weeks at the top of the British music charts in 1960. In 2009, record producer (Sam Cooke, Ritchie Valens, Bobby Fuller, Johnny Crawford)/label owner (Del-Fi Records) Bob Keane died of renal failure at age 87. In 2010, Michael Jackson's father re-filed a wrongful death lawsuit against Dr. Conrad Murray, charged in his son's death and added as a defendant a Las Vegas pharmacy that records show sold the physician a powerful anesthetic blamed for his death.